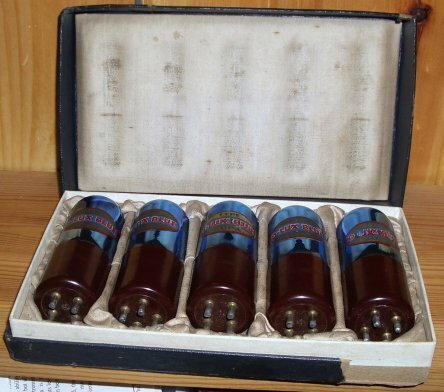 A box of Brightston tubes ready for a 5 tube TRF. 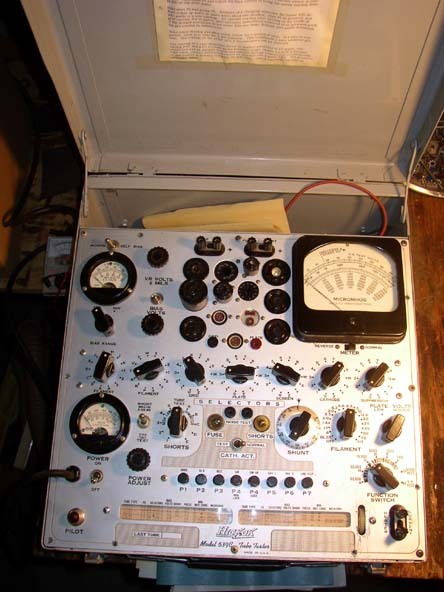 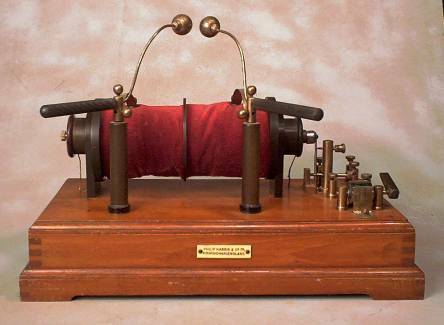 In 1915 Cunningham started producing the Audio Tron. 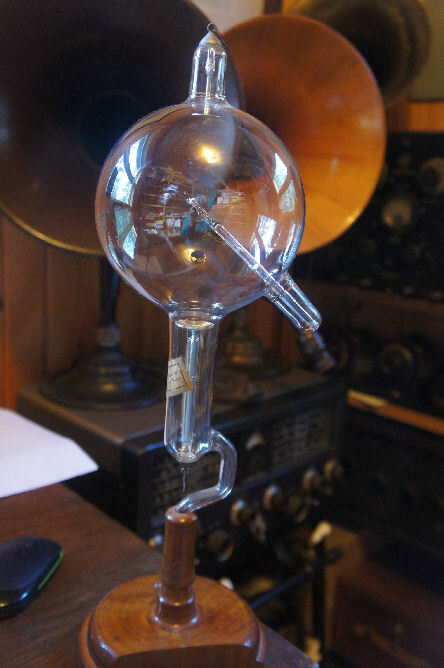 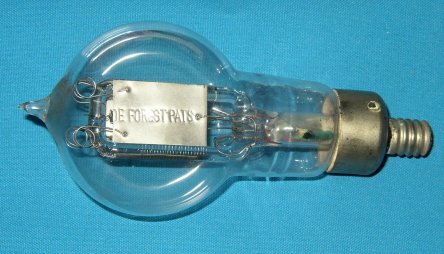 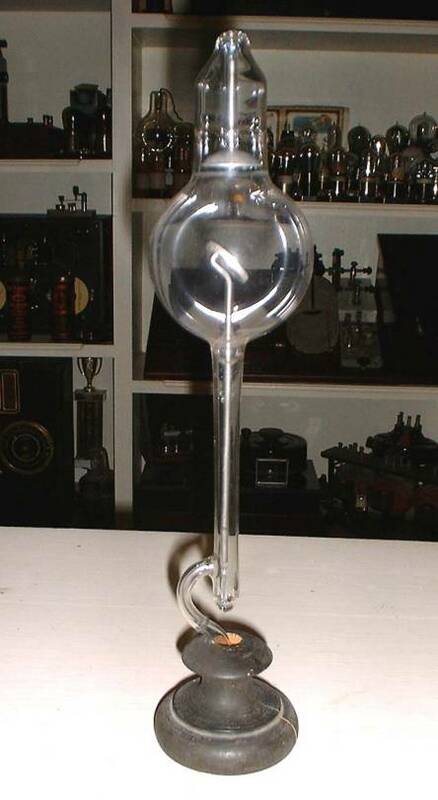 The Fleming Valve: first commercial use of the Edison Effect. 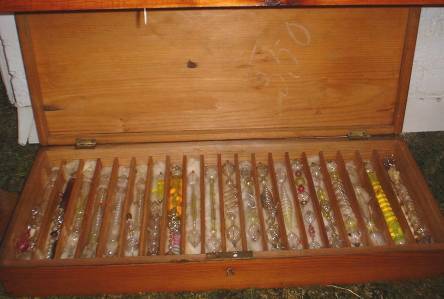 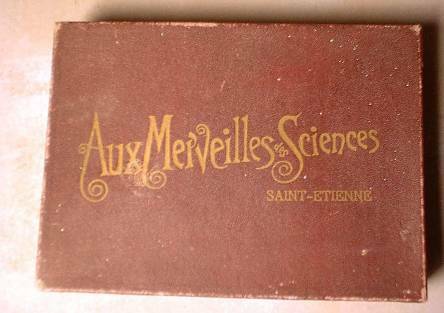 Box of 24 Geissler tubes from the early 1900s. 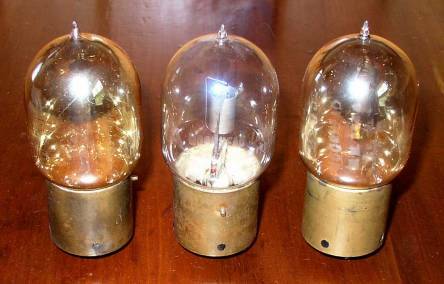 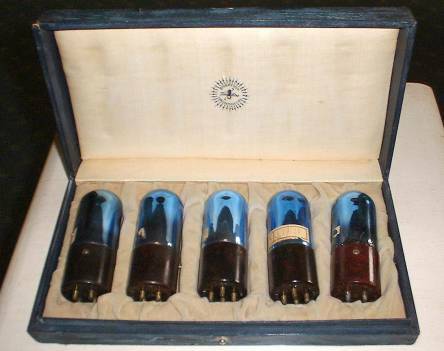 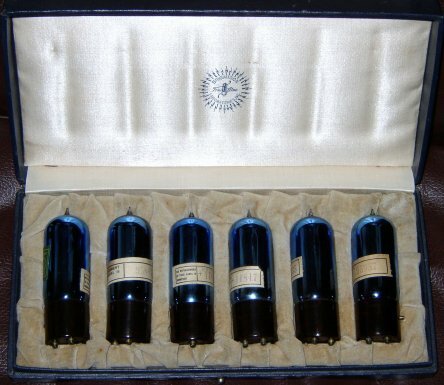 Six Geissler tubes from the Late 1800s. 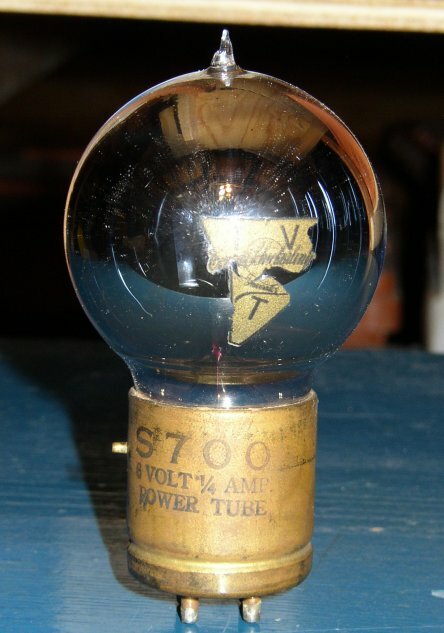 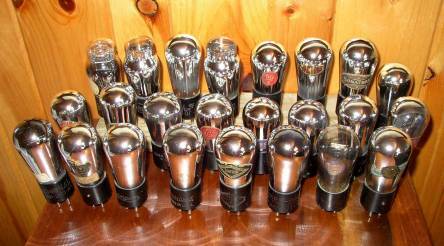 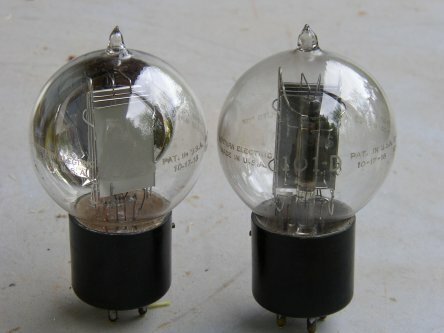 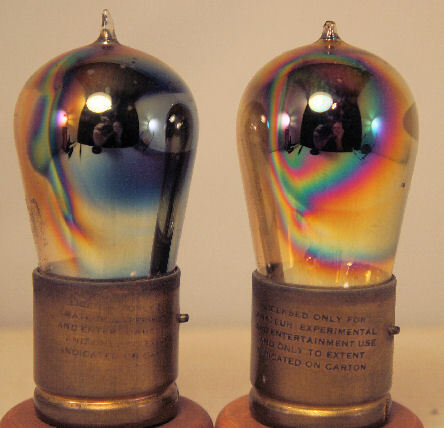 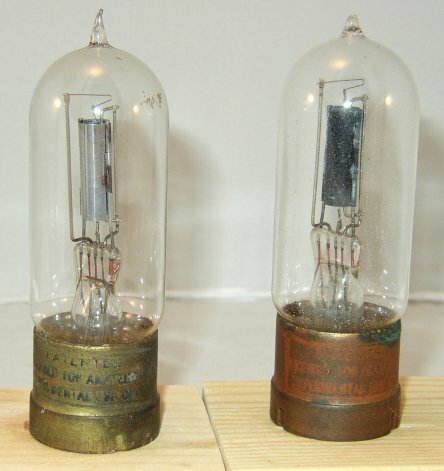 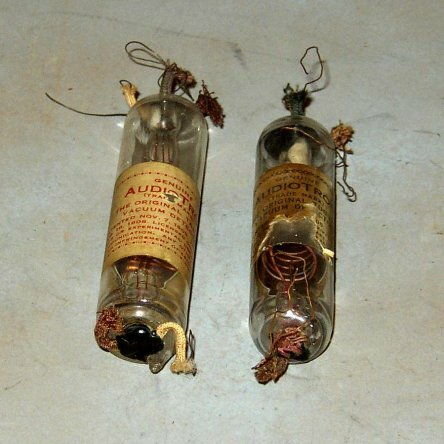 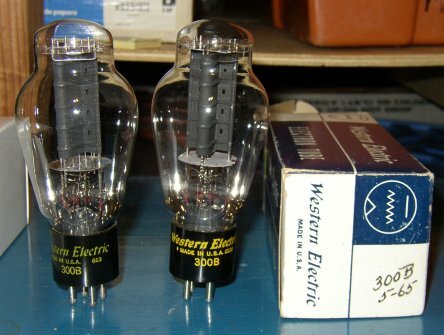 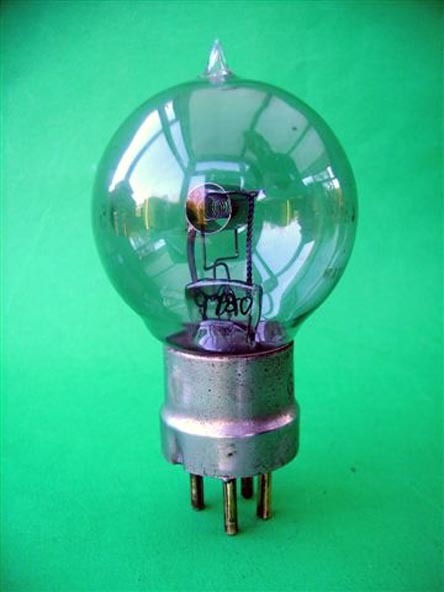 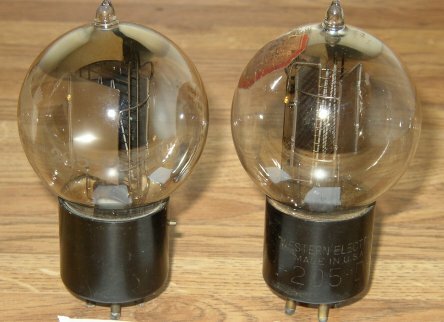 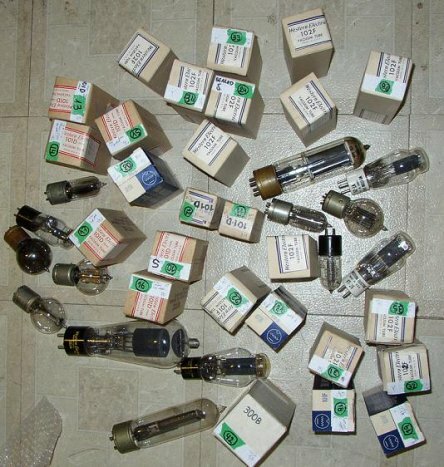 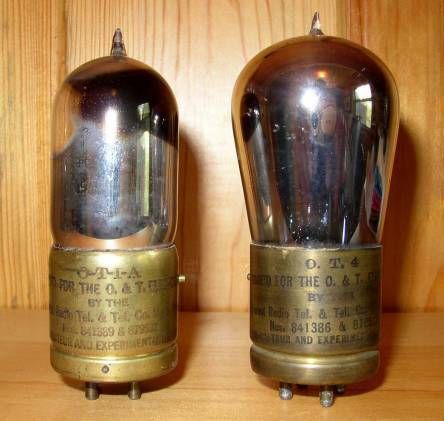 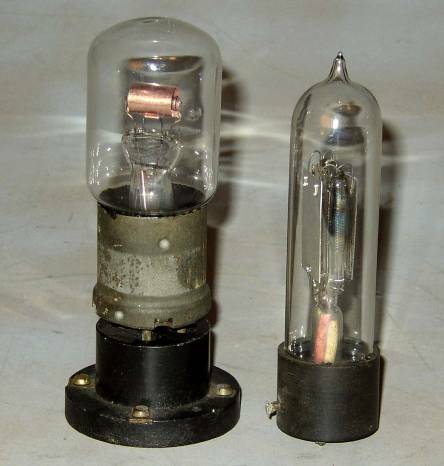 Early 1920s tubes from O & T Electric. 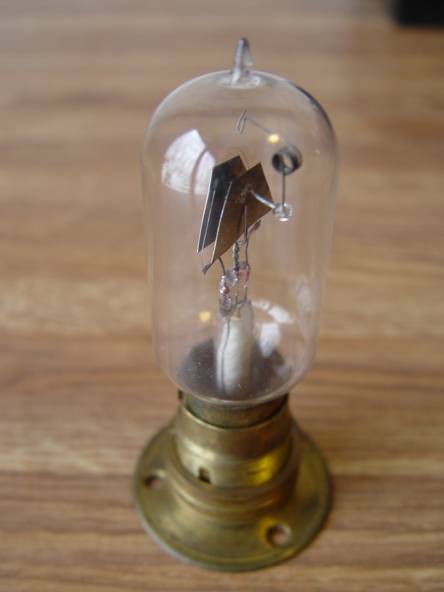 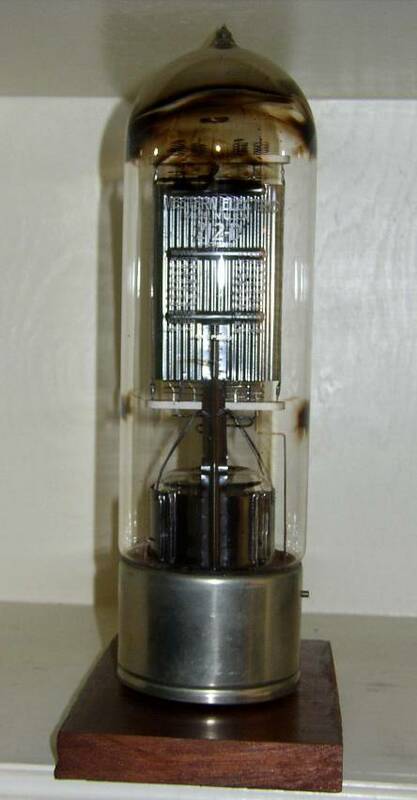 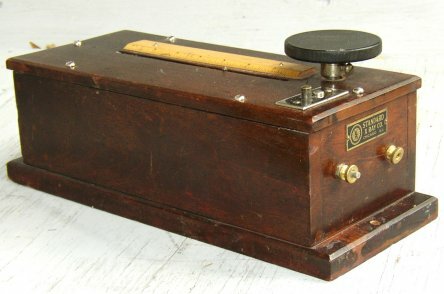 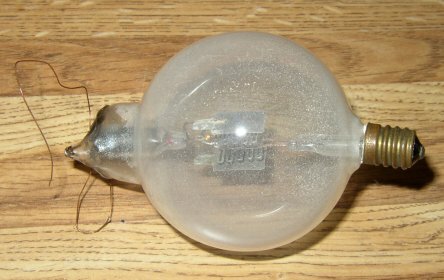 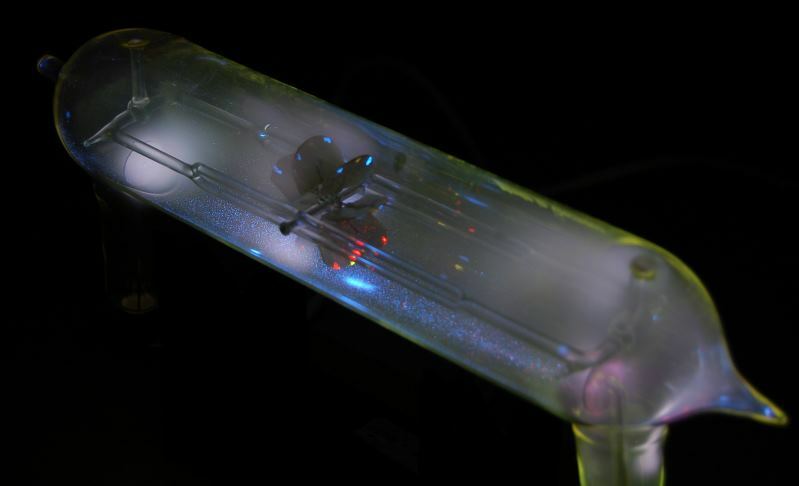 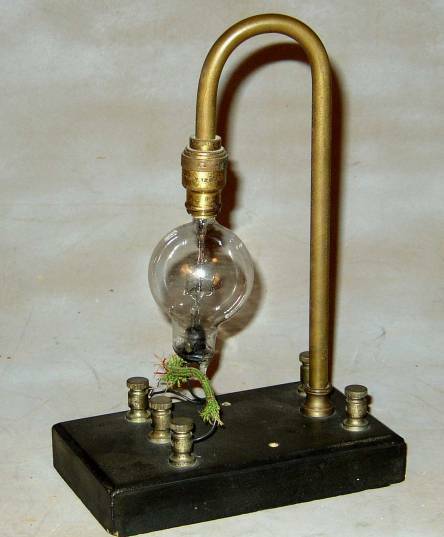 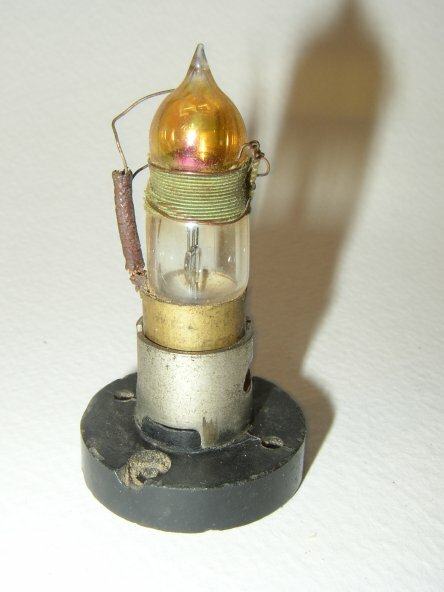 The Philip Harris Induction coil is used for lighting up geissler and Crookes tubes. 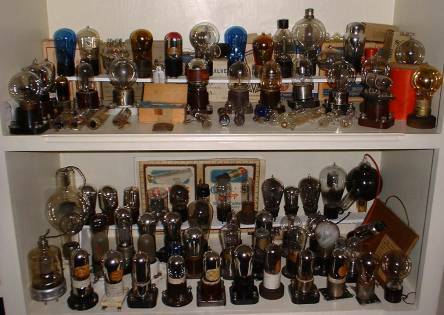 Display of tube mainly from the teens and 20s. 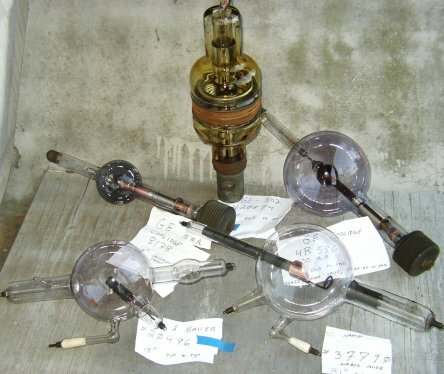 Round Valves are gas filled, asbestos tipped tubes. 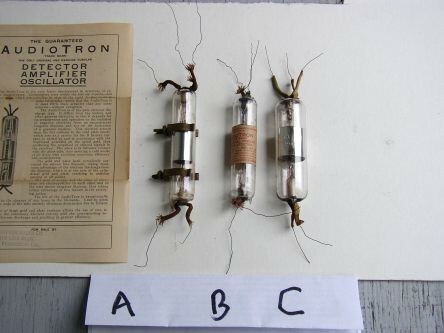 Pictured are a number of not so common 01A tubes. 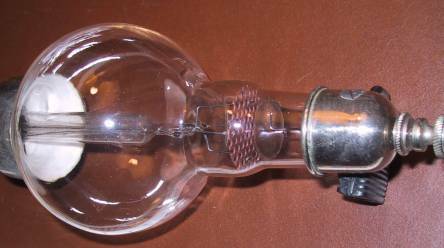 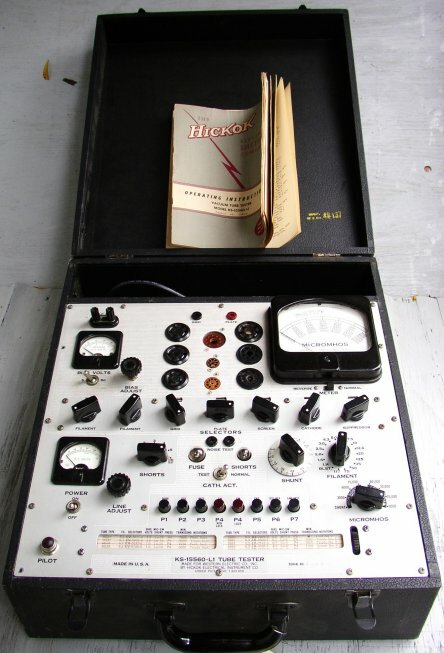 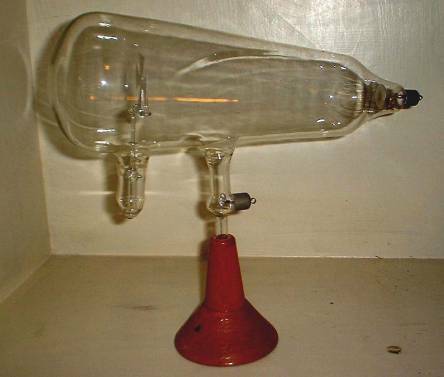 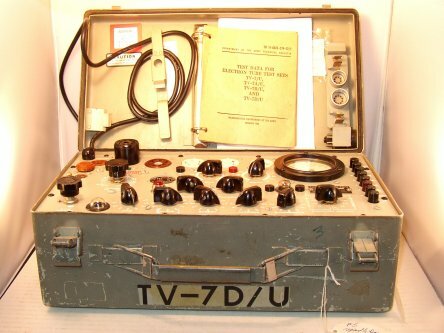 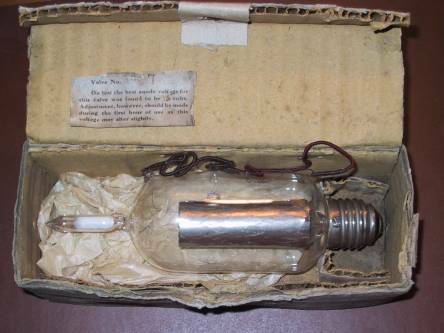 Early 20th century x ray tube.